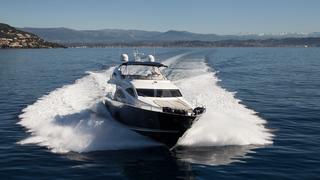 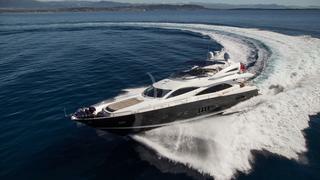 Maintained in mind condition and with exceptional charter records, this sleek Sunseeker 90’ offers space normally found on a much bigger unit. 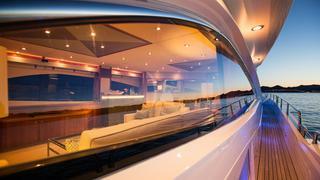 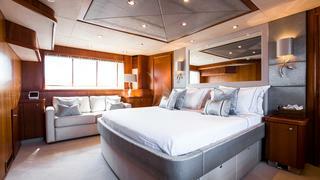 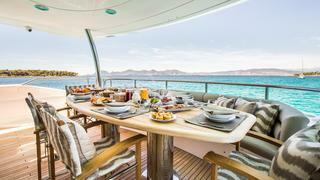 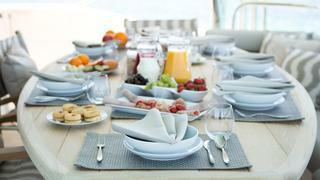 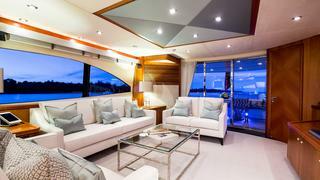 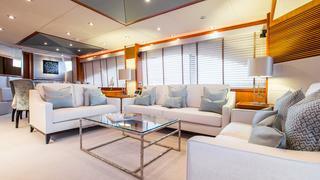 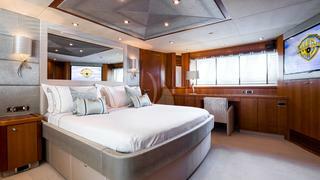 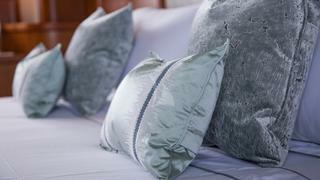 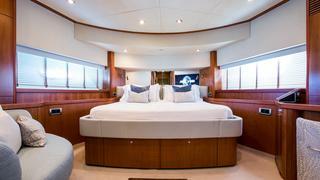 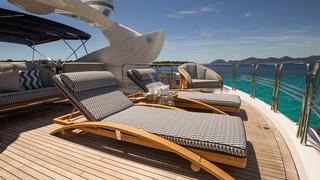 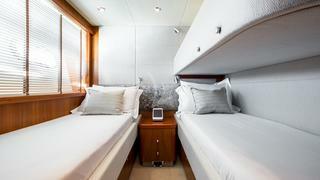 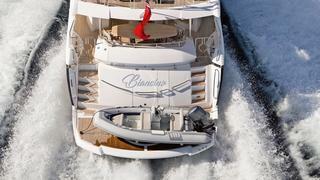 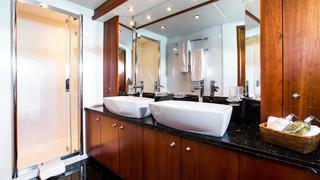 She can accommodate up to 8 guests in 4 luxurious cabins. 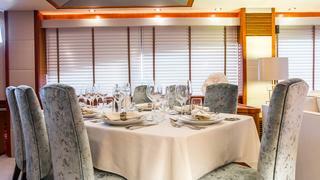 The main deck provides a bright and sophisticated salon equipped with the latest entertainment system, a wet bar and a formal dining area to up 8 guests. 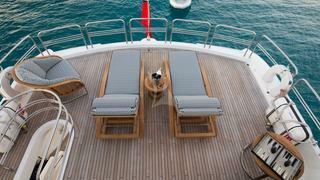 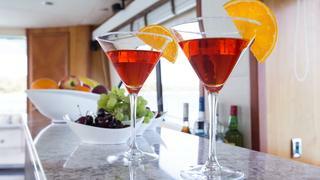 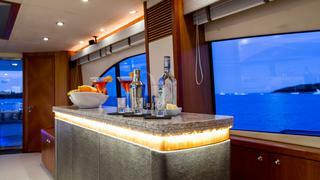 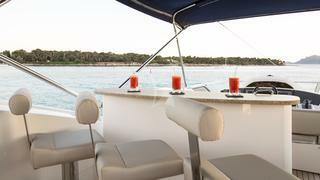 Her spacious fly bridge boasts amazing shaded seating areas, perfect to enjoy sunset cocktails.